Every event and setting is unique! We work with you to make your dream a reality. Landscaped garden with lawn area surrounded by flower beds and patio. Securing the guy ropes in the flowerbeds surrounding the lawn allowed us to make the most of the available space. 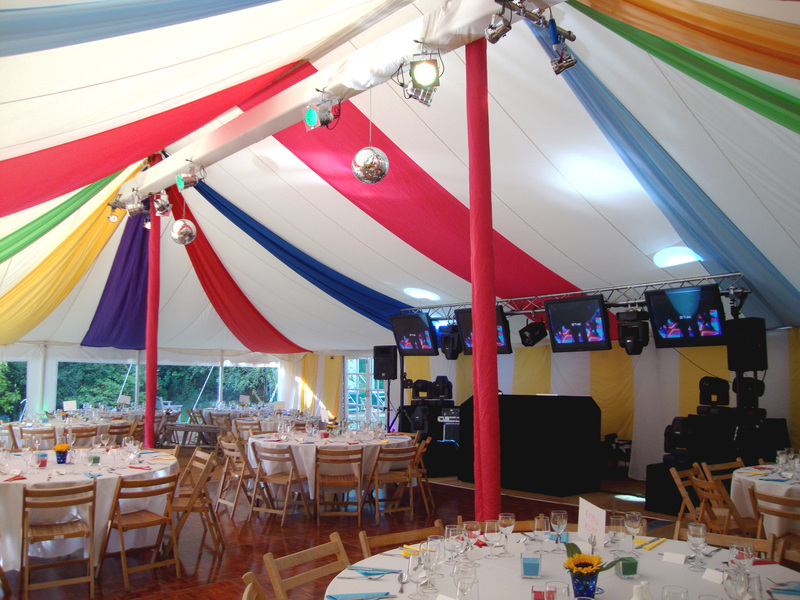 Sleeves on the side poles which matched the roof lining softened the look of the exposed poles and created pretty frames for the lovely views out onto the garden. 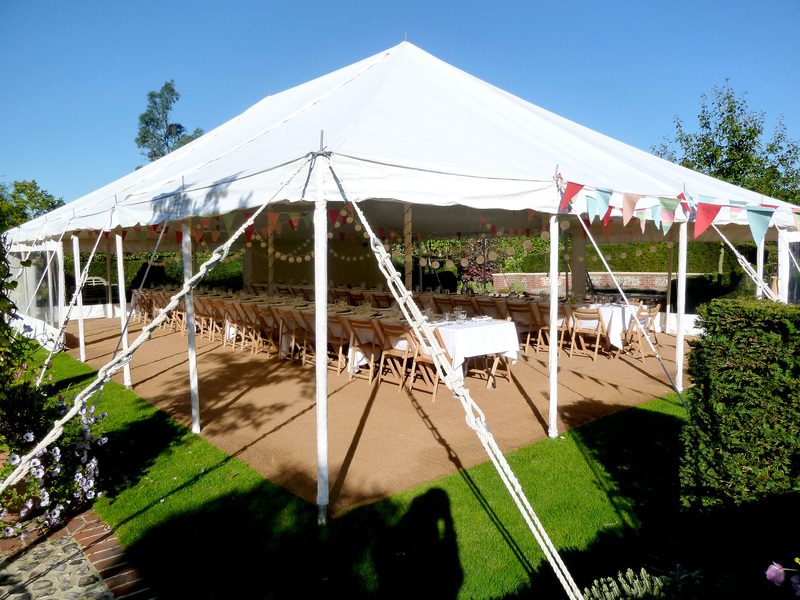 A very popular seating choice of long runs of trestle tables and wooden folding chairs provided the client with the relaxed atmosphere they wanted. 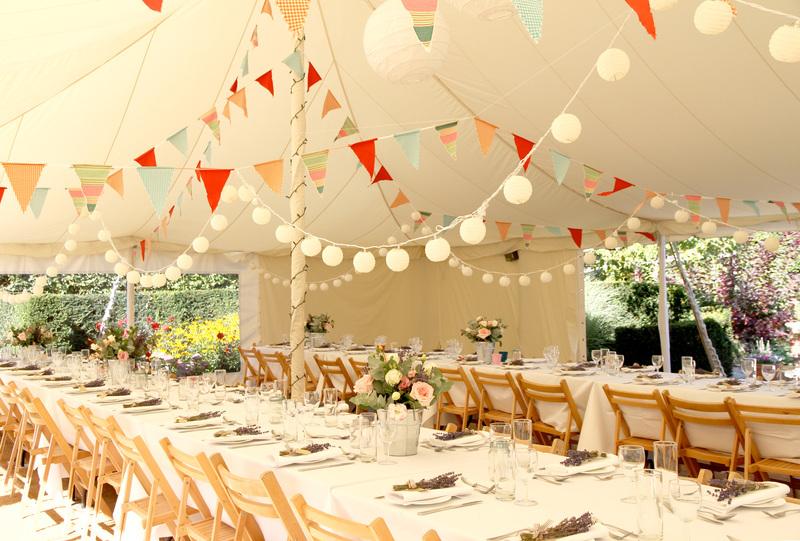 Homemade bunting and paper lanterns hung through the ceiling made this a truly charming wedding. A solid wooden floor overlaid with carpet overcame the issue of the uneven ground and provided a solid surface underfoot. 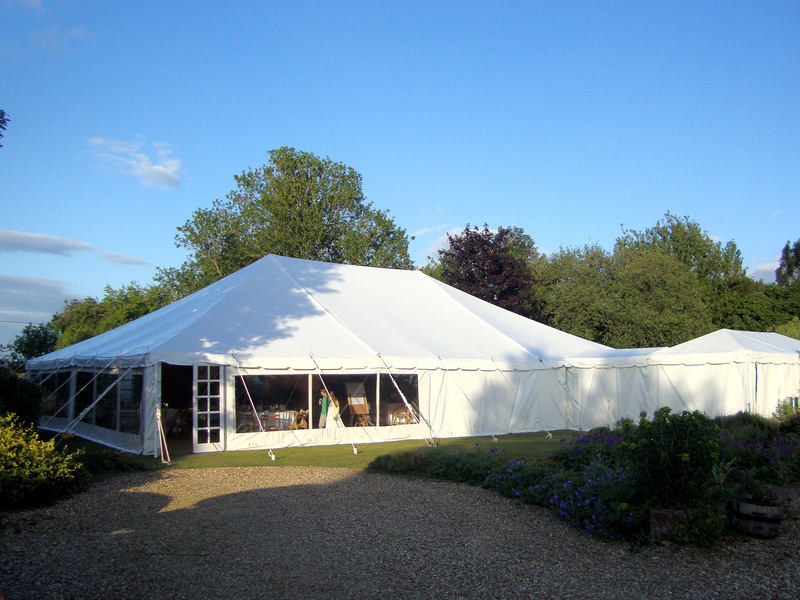 With plenty of space available we partitioned a 40ft x 90ft traditional pole marquee into a 40ft x 30ft reception area for arrival drinks. 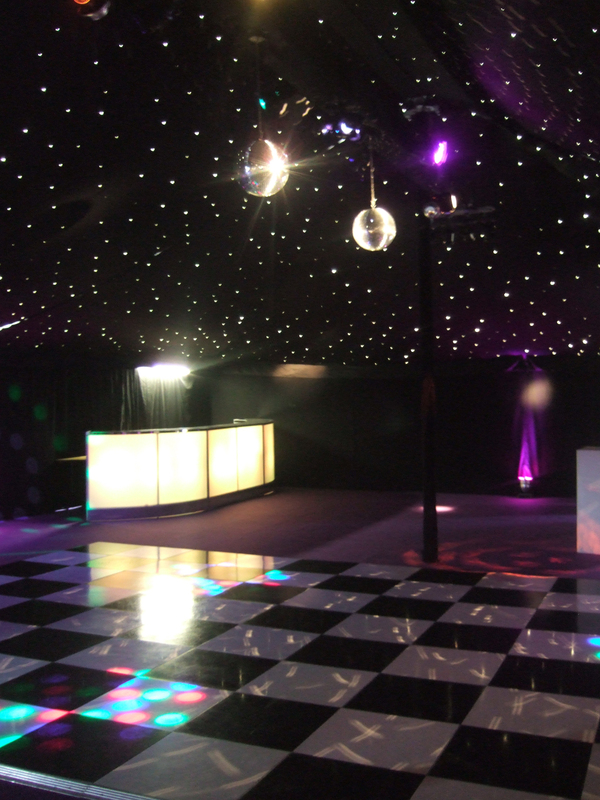 This then allowed our client to have a big reveal to his stunning 40ft x 60ft Night Club much to the amazement and approval of his guests. Night Sky roof lining and black walls created the perfect back drop for some stunning furniture pieces. 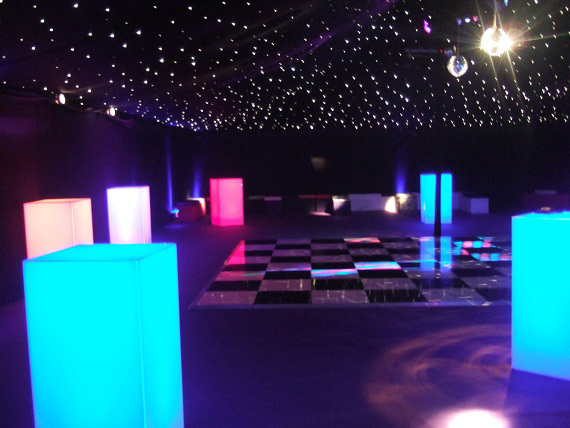 A black and white chequered dance floor was the centre piece, surrounded by illuminated poseur tables and a fabulous curved Bar which changed colour throughout the evening.